Buy, Rent or Skip Soldier Dogs? I first heard about this book when Maria Goodavage was on The Daily Show promoting it. She was a great guest and really sold me on it. Well, I wish the book was as good as her time on the show. Although it was an interesting read, I really didn't like the format of how it was written. It was kind of all over the place with no consistent narrative. It's more along the lines of this happened here, and that happened there as she weaves in and out of different Handler/Dog teams. 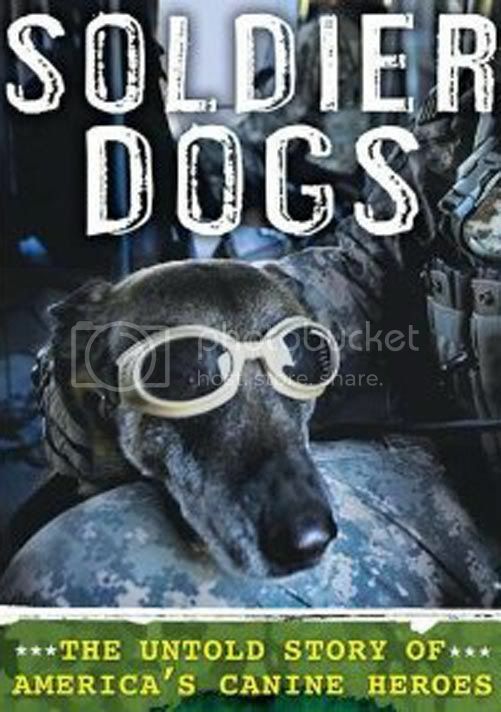 But for me, even though the stories have and should be told, I personally didn't enjoy having to read about Handlers having to watch their Soldier Dogs dying in combat in such detail. It was heartbreaking as a reader to have this image burned into my mind, but I can only imagine what other handlers, friends and family members would feel about having to relive these painful memories as well. Saw this on 60 Minutes. It's a great story. I'm going to see about checking out his book as well. Check out the clip when you get the chance.